NOTE: THIS EVENT HAS BEEN CANCELLED AS OF SEPTEMBER 1, 2018. THE BOARD OF DIRECTORS APOLOGIES FOR ANY INCONVENIENCE AND WE HOPE TO START THIS SERIES AGAIN IN THE WINTER. This event follows the completion of the 10-week study course. Signing up for this event alone without the 10-week study course is $75. SEE OUR EVENTBRITE FOR REGISTRATION. Dave Tapia’s class all day review course will be held at The University of the Incarnate Word (lunch included) on November 16. David is a highly accomplished Senior Executive, Entrepreneur, Educator, Consultant, and Board Member with 15 years of success in healthcare tech, healthcare management, food, consulting, and nonprofit sectors. Leveraging extensive experience in leadership and strategic planning, he is a valuable asset for startups to maturing similar-sector companies looking for vision, direction, branding, change management, and growth. He has demonstrated success in taking startups to maturity by uniquely monetizing products/services. David founded and built a longstanding international healthcare marketing and tech consultancy; established a healthcare-focused services brokerage and business valuation company; provided compliance consulting to post-acute healthcare companies; administered strategic and marketing plans, staffing restructures, reimbursement rates and diversified service lines. He has boosted cash flows through cost reduction and revenue generation and increased high performance staff retention. He has worked directly with software vendors to develop and deploy technology solutions in over 300 healthcare organizations, affecting over 3,000 internal and external stakeholders. He has also served as producer and host of a “radio show” style webinar series with record attendance upwards of 1,300 participants, where top industry experts are interviewed. David earned a B.A. in Anthropology from Texas A&M University; and an M.B.A. in Healthcare Management from Our Lady of the Lake University. 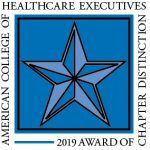 He has served on numerous boards and advisory councils, including for South Texas Chapter of the American College of Healthcare Executives (STC-ACHE); Founding Board member of San Antonio Healthcare Information Management Systems Society (SAHIMSS); and Bexar County Medical Society Alliance (BCMSA). David is certified as an ACHE Fellow (FACHE) and HIMSS Fellow (FHIMSS). He is a recipient of both the ACHE National Service and Distinguished Service awards. NOTE: THIS SERIES HAS BEEN CANCELLED AS OF SEPTEMBER 1, 2018. THE BOARD OF DIRECTORS APOLOGIES FOR ANY INCONVENIENCE AND WE HOPE TO START THIS SERIES AGAIN IN THE WINTER. Become board certified and maximize your professional potential by earning the premier credential in healthcare management, the ACHE’s prestigious FACHE credential. Becoming board certified in healthcare management as an ACHE Fellow (FACHE) means you will have the knowledge, skills, and confidence to succeed. This is a 10 week series with a final capstone 1 day seminar (to be held on November 16) led by Dave Tapia, FHIMSS, FACHE, at the University of Incarnate Word. This course is starting September 7 and will be on Fridays from 12-1 p.m. The course will be completed on November 9. This informational session will walk you through the steps to become an ACHE fellow and to provide you with the details of an upcoming 10 week study course that will give you the knowledge base to become a fellow by the end of 2018. The 10-week course will begin Friday, September 7, and continue for 10 consecutive weeks from 12 p.m. to 1 p.m. Participating in ACHE’s Exam Review Course is one of the best ways to gain the confidence and knowledge you need to successfully pass the Board of Governors Exam. Faculty experts provide in-depth information on the 10 key knowledge areas covered on the Exam in this one day program. Dave Tapia’s all day review course at University of Incarnate Word (lunch included). The class will be on November 16. Please Note: Registration is a commitment to participate. The 10 week review session has a maximum of 35 slots. Dr Nowicki’s class all day review course at Trinity University (lunch included). The class will be on March 16. Just in time to take your test at the meeting in Chicago. Dr. Nowicki is board certified in healthcare management and a fellow in the American College of Healthcare Executives and is board certified in healthcare financial management and a fellow in the Healthcare Financial Management Association. He serves on the faculties of both associations and makes frequent presentations on the fundamentals of healthcare financial management and the economics driving healthcare reform. He publishes regularly for both associations and his book, INTRODUCTION to the FINANCIAL MANAGEMENT of HEALTHCARE ORGANIZATIONS, first published by Health Administration Press in 1999, was published in its sixth edition in 2014. Become board certified and maximize your professional potential by earning the premier credential in healthcare management, the ACHE’s prestigious FACHE credential. Becoming board certified in healthcare management as an ACHE Fellow (FACHE) means you will have the knowledge, skills and confidence to succeed. This is a 10 week series with a final capstone 1 day seminar (The class will be on March 16) led by Dr. Nowicki, to be held at Trinity University. This course is starting January 5 and will be on Fridays from 12-1 p.m. The course will be completed on March 9. This informational session will walk you through the steps to become an ACHE fellow and to provide you with the details of an upcoming 10 week study course that will give you the knowledge base to become a fellow by the end of 2018. The 10 week course will begin the following Friday, January 5 and continue for 10 consecutive weeks from 12 p.m. to 1 p.m. This informational session will walk you through the steps to become an ACHE fellow and to provide you with the details of an upcoming 10 week study course that will give you the knowledge base to become a fellow by the end of 2017. Register for this FREE intro session on our Eventbrite site!